1/12th scale, for your dollshouse. 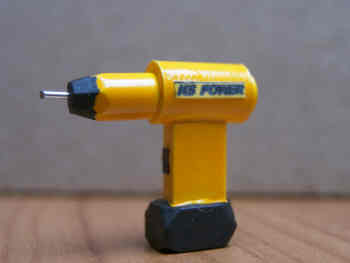 Here is a model of a battery powered drill, for the DIY enthusiast who lives in your dollshouse ! Or for the workman who is doing the renovations therein ! Would also be a good addition to a modern hardware shop or electrical store. Looks good, but don't forget its not a working model !